The GGB is at home with a cold. Slightly bored. Mindlessly 'Net surfing. 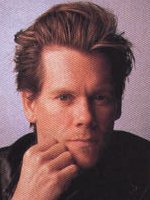 And I wonder: How many degrees of separation are there between me and Kevin Bacon? Let's see.